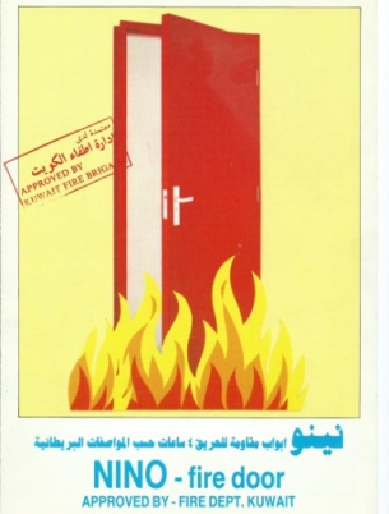 “NINO” fire rated hollow metal doors are locally manufactured (in Kuwait) by Industrial Metal Center Co. that complies with British Standard - B.S. 476.PART 8, 1972. 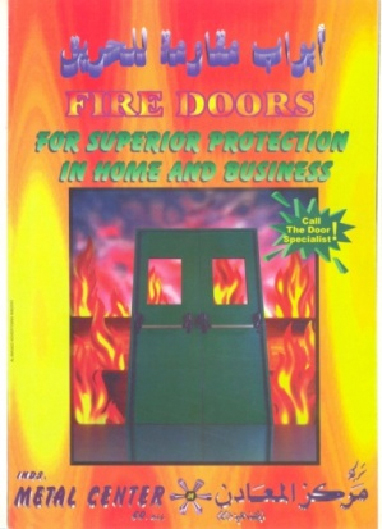 This door is tested in the laboratories of EXOVA Warrington fire. Comprise of 2mm Thk, mild steel U channel frame at both sides and 2 mm Thk, mild steel (Z) shape vertical stiffener at the rate of 6 inch c/c. door is completely filled with Rockwool insulation, density 80 kg / m3. Painted with one coat of primer, thickness of the door 45mm.